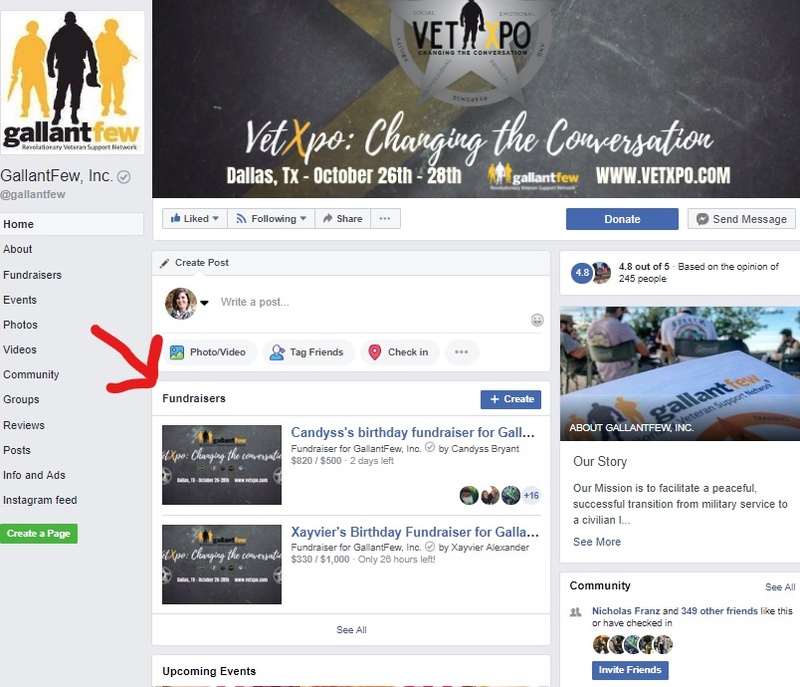 Are you a Veteran needing help right away? Make the call now - we can help! PLEASE DO NOT TAKE ACTION OF ANY SORT until you talk to one of us. Thank you for sharing your birthday with GallantFew. We celebrate you by changing the lives of veterans. 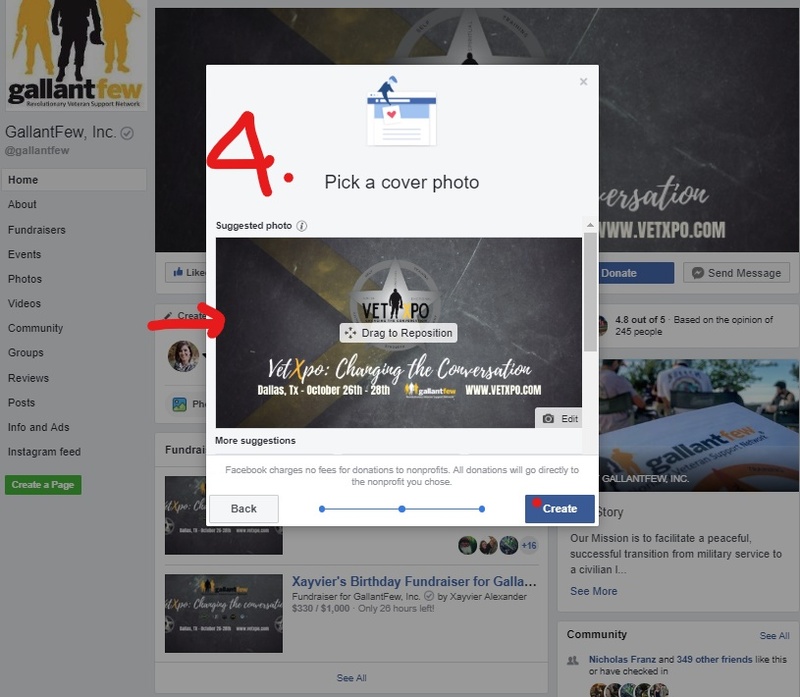 Four quick easy steps to start your Facebook fundraiser then you are off and running. The whole process takes three quick minutes. 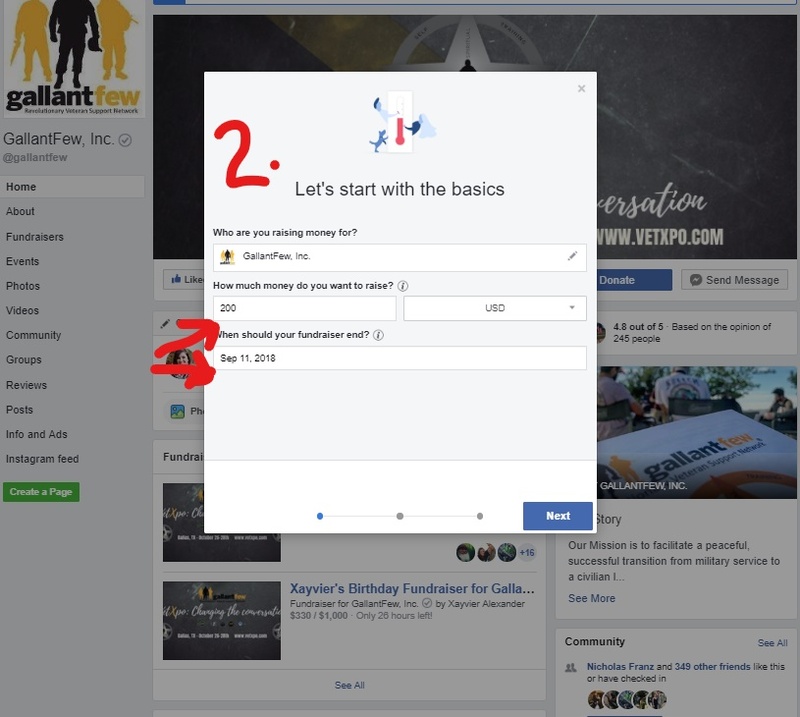 First step is link to the GallantFew Facebook page then follow along below. 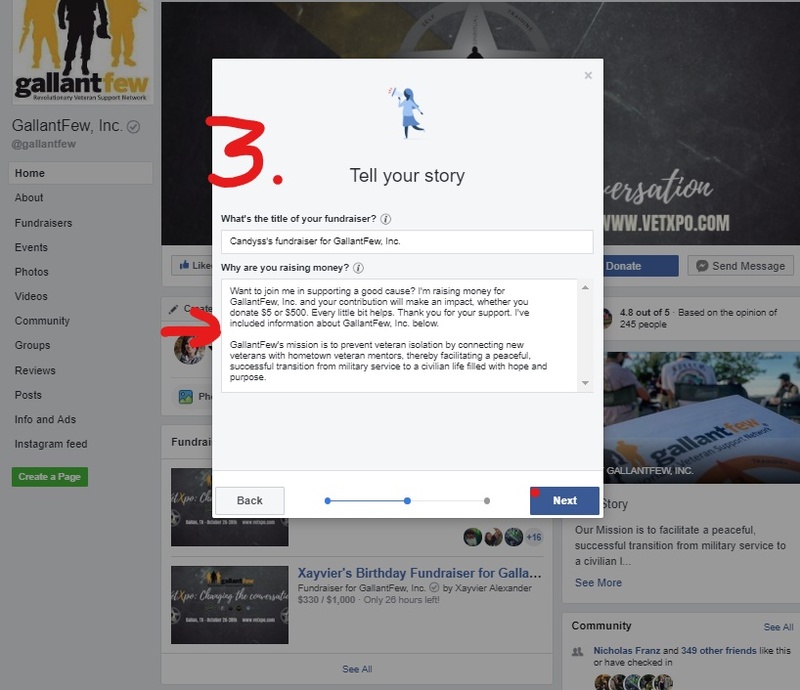 GallantFew, Inc. is a 501(c)3 non profit. Copyright © 2019 GallantFew. All Rights Reserved.